Follow the rest of Saturday&apos;s action here and Sport Relief&apos;s Battle of the Five-A-Sides here. Chelsea XI: Courtois, Azpilicueta, Ivanovic, Cahill, Baba, Matic, Mikel, Willian, Oscar, Hazard, Traore. Stoke XI: Butland, Cameron, Wollscheid, Muniesa, Pieters, Whelan, Imbula, Shaqiri, Afellay, Arnautovic, Diouf. Thanks for joining me today, reaction to this and every game here. Game over - Stoke get a deserved draw, they almost won it. Bojan almost wins it for Stoke after some great play by Giannelli Imbula but Thibaut Courtois saves the Spaniard's effort. Four minutes left for someone to find a winner. Marko Arnautovic comes off for Stephen Ireland in Stoke's midfield as we approach injury time. Chelsea defender Baba Rahman wants to be the hero and shoots from 25 yards but it's tipped wide by Jack Butland. And from the corner Oscar misses a chance. That's Mame Biram Diouf's last touch of the game - he's replaced by Joselu. Boss Mark Hughes had been just about to make that change anyway! Stoke are level and it's probably deserved. Xherdan Shaqiri's cross is punched clear by Thibaut Courtois, who should be doing better there, and Mame Biram Diouf heads it into an unguarded net. Stoke are having plenty of the ball - in fact they've had 52% of possession in this game - but they aren't getting their final passes right around the box. Chelsea bring on Cesc Fabregas for Nemanja Matic in midfield. No Alexandre Pato debut today then. 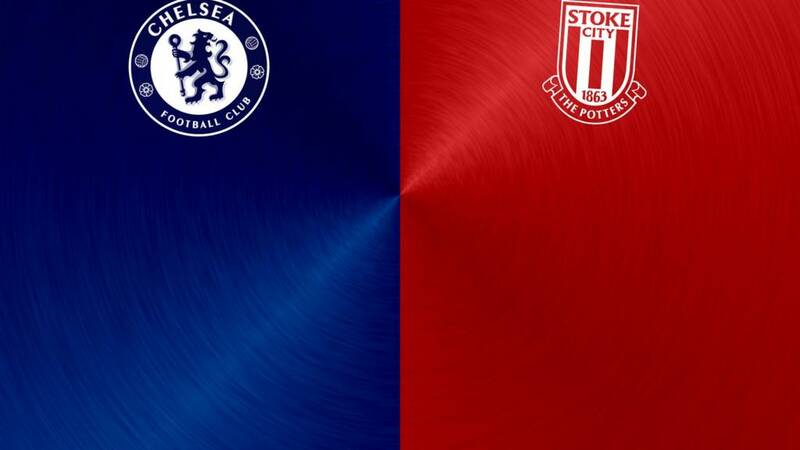 Chelsea midfielder Ruben Loftus-Cheek has a chance to score his first Premier League goal but his effort is blocked by Stoke keeper Jack Butland at his near post. Stoke defender Erik Pieters brings down Oscar clumsily and lazily and referee Mark Clattenburg wants a chat. I suspect that's a final warning as he'd already been booked. Bojan is straight in the action, chesting a ball over the top before firing wide. Unfortunately he was just offside. Now this is what you call an attacking change for Stoke. Off comes recently booked holding midfielder Glenn Whelan and on comes forward Bojan. Willian takes the free-kick but he forgets to get a curl on it and it's wide of the far post. Stoke midfielder Glenn Whelan pulls Ruben Loftus-Cheek down to the ground, it was almost like wrestling, and he's booked. Chelsea playmaker Oscar goes down under limited pressure from Marc Muniesa but the appeals for a penalty were negligible. Stoke trickster Marko Arnautovic bursts in from the left, nutmegging Cesar Azpilicueta on the way but his shot from inside the box is blocked by Gary Cahill. Chelsea bring off their goalscorer Bertrand Traore for a more recognised striker - Loic Remy. Alexandre Pato is still waiting on the bench for a first game in European football in over three years. Solly: Chelsea go past 40 points. Looks like they'll avoid relegation then.